I think the only reason I didn't enjoy this drink quite as much as the Cranberry Cherry and Grapefruit Juice drinks is because it's just a bit unfamiliar to me. The grapefruit version was not just similar to, but an improvement upon, Wink, Squirt, Fresca, or any other citrus soda. The cranberry version was vaguely reminiscent of cranberry ginger ale to me. 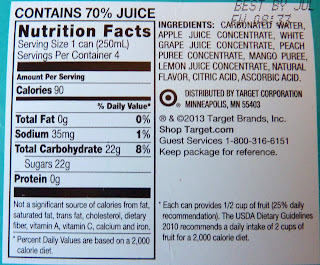 A comparison doesn't immediately pop into mind for this juice-sweetened beverage. I like peach in pretty much any context. I like chunks of actual mango fruit with chili powder, but mango-flavored products are hit or miss. 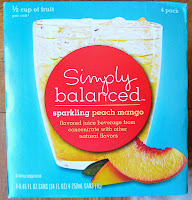 Although I think this drink might have been stronger had Target just aimed for a "peach" flavor, it's definitely not bad the way it is. Plus, adding "mango" to the title of a product makes it sound so much more exotic, don't you think? 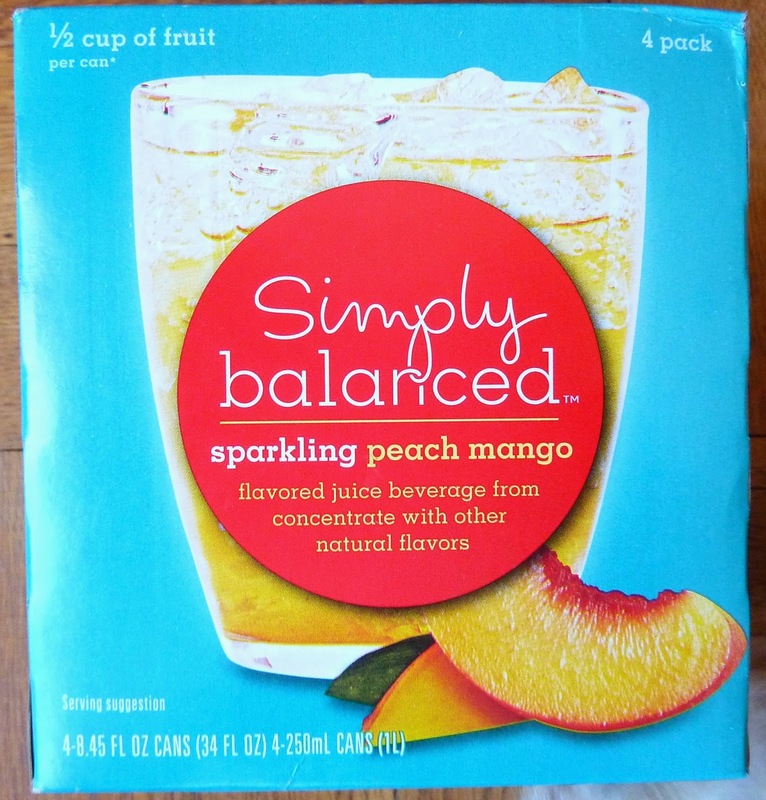 As is the case with all of these new Simply Balanced drinks, I think the really brilliant thing about this product is that it's totally juice-sweetened. I'm really not sure why this trend hasn't caught on on a much bigger scale than it has. 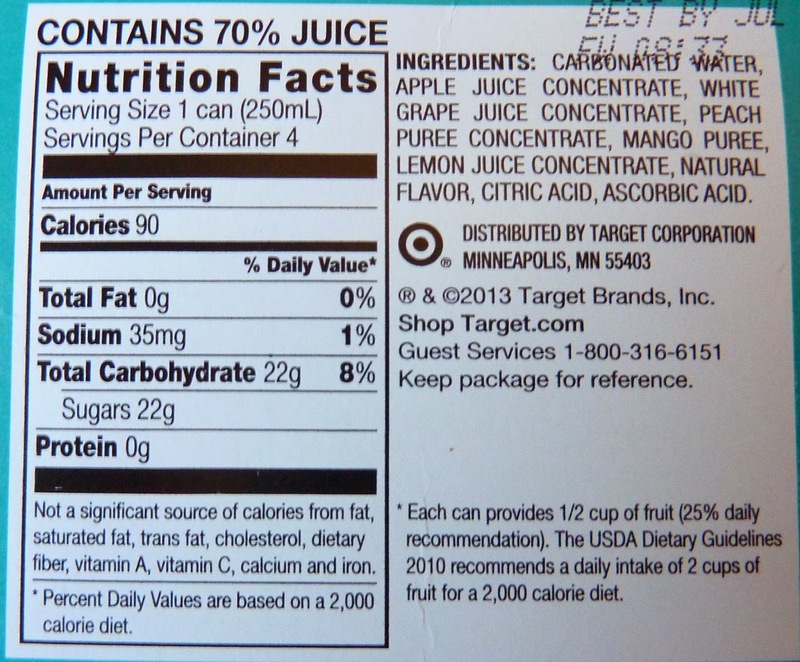 I'm sure it's a tad more expensive to use juice than high fructose corn syrup, but I think most people would be willing to shell out a tiny bit more money if they knew how much better it was for them. I'm gonna give this product 7 stars, because I definitely liked the other flavors a little better, but it's really probably more like 7 and a half. Definitely worth a purchase.